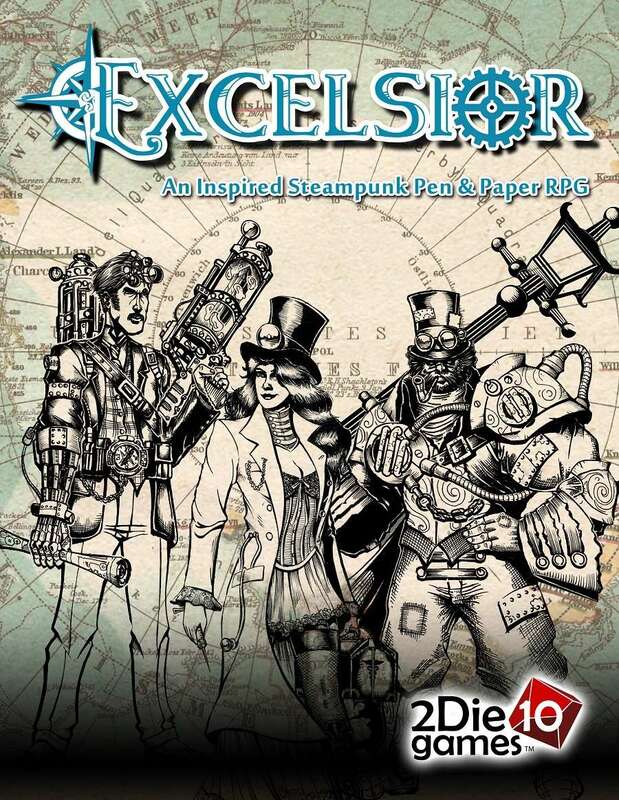 A Steampunk Pen and Paper RPG drawing inspiration from the classics of literature that gave rise to the Steampunk movement! Adventure in a world inspired by some of the Victorian Era's most proflici writers! Six exciting Steampunk Classes: Scrapper, Punk, Marksman, Aegis, Physician, and Inventor! Steampowered technology and more, including Biomechanics and dozens of inventions! Our percentile combat and skill test rule system is something that new and experienced players alike will understand and pick up quickly to allow for vivid storytelling and fast combat without having to memorize lots of proprietary game terms and keeping track of lots of specialized dice...all you need is 2Die10! B. Wraven Wright has ghostwritten over 100 OGL D20 adventures and supplements for publishers large and small and also acted as a Slot 0 (beta tester) on over three dozen adventures for Living Forgotten Realms, the organized game play platform that was sanctioned by Wizards Of The Coast for Dungeons and Dragons 4th edition. He also created 2Die10 Games imprint and successfully used Kickstarter to publish his own game and setting, Excelsior. If you enjoy 5th Edition D&D, please check out other DM's Guild titles by the same author. Would a brief description of the game system itself be possible? Or perhaps some of it might be shown in the preview? We hope the clarifying text that we've added helps. In short, its our own proprietary a percentile dice system. Thanks for the question!